It is hard to beat the convenience of a credit card for purchases, but does that same convenience make it worth paying your taxes by credit card? It might, but that depends on several factors involving money and time. "Your credit card is usually a high-interest option, but it is an option," opines Betterment head of tax Eric Bronnenkant. Credit card fees are percentage-based with a minimum "convenience fee" for smaller bills ranging from $2.50 to $2.69. Percentages range from 1.87 percent to 2.00 percent of the total tax bill depending on the vendor and the type of card used. You will also find debit card information for each listed vendor. Debit card transactions are charged a simple flat fee ranging from $2.00 to $3.95 for tax year 2017. 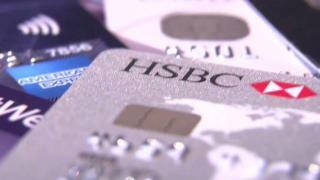 If you have a large tax bill and the money in your account to cover it, a debit card may make more sense. Consider that at the lowest percentage rate of 1.87 percent on your tax bill, your bill would have to be approximately $211 for the fee to equal the highest possible debit charge of $3.95. "The IRS isn't willing to absorb any interchange fees, like VISA, Mastercard, and American Express fees," confirms Bronnenkant. "Let's say they charge 2 percent per round number, so if you use your credit card, you're basically going to have to pay an additional 2 percent to cover the fees." Cash Flow Problems – If you are short on cash to pay your tax bill before the due date, payment by debit card is not an option. Payment by credit card can spare you potentially stiff IRS penalties, fees, and accrued interest. However, if you contact the IRS to set up an installment payment plan, you may find that these charges amount to less than the interest you will pay on carrying a credit card balance. For tax bills less than $10,000 you can generally submit your own payment plan of three years or less for IRS approval. To assess this situation correctly, it is important to have a handle on your upcoming income and bills to determine how long it is likely to take you to pay off the tax bill. Rewards Programs – Many cards offer cash back, frequent flyer miles, or similar incentive programs. If you can run your tax bill through your credit card and can afford to pay it off without carrying a balance, simply compare the credit card processing fees with the value of the rewards and go with the more economical approach. If you must carry a balance, this method usually only makes sense if you have a card at a zero or low introductory short-term interest rate. The typical annual percentage rate (APR) on your balance is likely to overwhelm your potential rewards. Collective Debt – For a relatively small tax bill, paying it by credit card will have virtually no effect on your overall credit rating. However, if you have a bill well into the thousands or your tax bill is pushing the maximum credit limit on your card, your credit score will be affected because your credit utilization ratio will rise. The credit utilization ratio compares your total outstanding debt to your total available credit. Experts suggest keeping this ratio below 30 percent if possible; 50 percent or greater may be a red flag to creditors who will offer you higher short-term interest rates as a result. Consider the effect on any other purchases you plan to make before the debt is paid down, especially if you are trying to qualify for a mortgage. In summary, credit cards are usually the best option whenever you can avoid carrying a balance and receive rewards that surpass the fees, or if you do not have the money in hand now but expect the income to be able to pay the bill off relatively soon and avoid excessive interest charges from your credit card issuer. Keep up with any changes in the tax code, such as the 2017 Tax Cuts and Jobs Act and the 2018 Bipartisan Budget Act, so that next year's tax bill doesn't catch you by surprise. Make your assumptions on future income and short-term bills, and then break out the calculator (or spreadsheet, if you prefer) to find out which path makes the most economic sense for you.